Ian Bartholomew is a successful actor across screen and stage, with credits such as A Prayer for the Dying, Spooks and New Tricks. His stage appearances include Merchant of Venice (RSC), As You Like It (Royal Exchange Manchester) & Guys and Dolls (National Theatre). 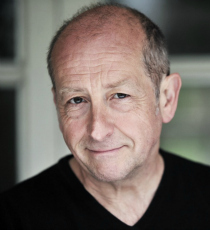 Most recently Ian played the role of Vivian Vann Damm in Mrs Henderson Presents (Noel Coward Theatre) & also starred as Chitterlow in Half a Sixpence (Noel Coward Theatre). Ian can currently be seen in the role of Geoff Metcalfe on Coronation Street.